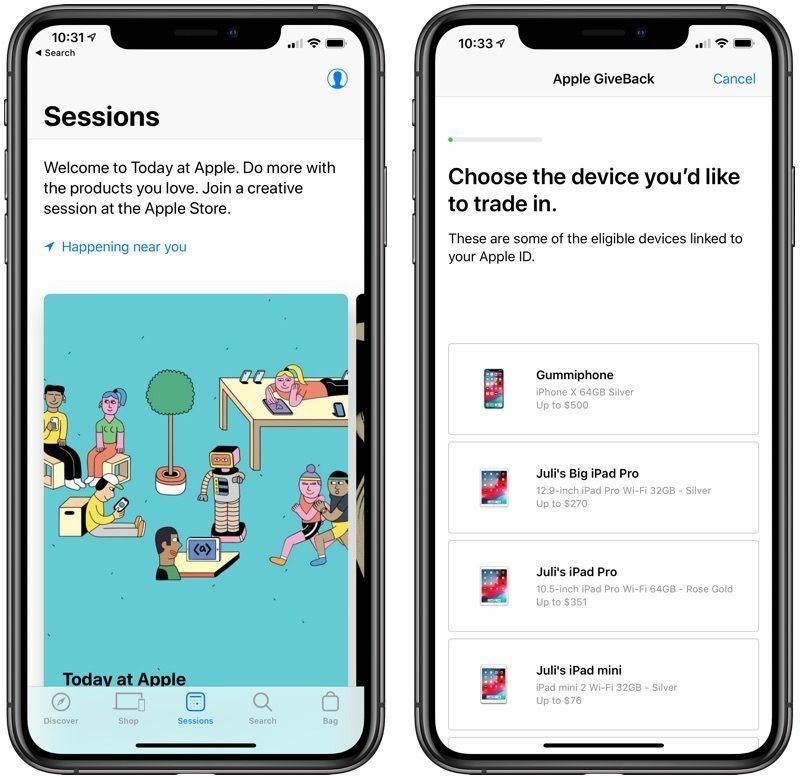 Apple says that it's also now easier to check the trade-in values of your devices when using the Apple Store app. You'll see trade-in options when purchasing a new iPhone, iPad, Mac, or Apple Watch, and Apple will give you a list of your current devices where you're signed in with your Apple ID and their trade-in value. You can tap one, go through Apple's status checklist, and then finish the trade-in process right when checking out. Trade ins are so stupid and undervalued by Apple. Just sell your device yourself and get a better deal. Juli sure has a lot of iPads. Pretty sure there have been thousands of days without hardware releases. Wow. Sarcasm is really lost on you, huh?